May 13-Jaipur, July 25-Bangalore, July 26– Ahmedabad, September 13– Delhi, September 27– Delhi, September 29– Gujarat, October 30- Guwahati, November 26 and still counting- Mumbai. The country’s Business Capital was reeling under yet another terror attack. While the earlier attacks followed the conventional bomb blasts methods, the recent terror attack has entered a brand new chapter in the history of terror attacks in India. The terrorists have been well trained and they have been ruthless in executing their plans and killing people. Sophisticated, well-planned and financed, focused primarily on foreigners, the attacks were conducted by suicide fighters who avoided the usual indiscriminate violence of bombs for the more focused ruthlessness of machine guns and grenades. Several unexpected targets — hotels, the city’s largest train station, a Jewish center, a movie theater and a hospital — were attacked by militants. 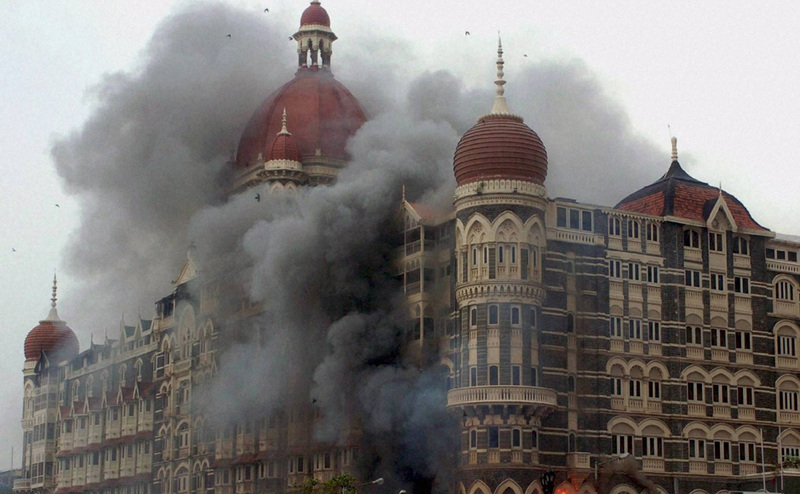 The worst hit were the hotels, Taj Mahal and Oberei hotels and the Nariman House, where the terrorists were holed up along with hostages. Strangely enough there was no demand for ransom. According to intelligence, the terrorists were a highly motivated group who came with the sole intention of holding the entire country to ransom and then die fighting for their cause. The constant streaming of the dead and injured further strengthened the terrorist cause of instilling fear and havoc in the mind of the Indian citizens. The NSG launched a high profile operation to wipe out the terrorists and save the hostages. Unfortunately some foreign nationalists were killed and a number of NSG and ATS officers laid down their lives for this cause. This attack resembles the Parliament attack of 2001 where tensions between India and Pakistan was at its peak and a war was averted only by international pleas for moderation and Pakistan President Gen. Pervez Musharraf's decision to ban the group Lashkar-e-Taiba (Soldiers of the Pure) and four other radical Islamic groups. Wednesday's attempt to terrorize and hold India's financial capital to ransom may have been intended to trigger much the same response as the December 2001 assault India's parliament. In more practical terms, Wednesday's attack might signal a shift in tactics by al-Qaeda linked groups, who now seem to have set tourists and hotels among their primary targets. In the long run, the Mumbai terrorists tried to tap into the ugly, centuries-old hatreds of India's past, seeking to make India relive the nightmare of its independence, when partition of the British Raj in 1947 led to the creation of India and Pakistan at the cost of half a million lives and the forced resettlement of 10 million people.